It is common for those facing felony DUI charges in the greater Phoenix area to assume they will be convicted. Arizona has some of the most stringent DUI laws in the country, and police officers and public officials seem all too ready to assume guilt when it comes to drinking and driving. If you have been charged with a felony DUI (also known as an Aggravated DUI), don’t give up hope. With an experienced defense attorney working on your team, there is a good chance that your charges could be reduced or even dismissed altogether. James E. Novak is a criminal defense attorney who focuses primarily on DUI law, giving him detailed knowledge of this complex legal matter. As a former prosecutor, he knows both sides of the courtroom very well, and can use that knowledge to your great benefit. Contact us today to schedule a consultation. Because Arizona has different classifications for DUI charges, you may be confused about what actually constitutes a felony DUI. Contrary to popular belief, an Extreme DUI and a Super Extreme DUI are not felony charges. These two types of DUI have to do with your BAC level at the time of the arrest. To be considered legally intoxicated, your BAC must be at 0.08% or above, although in Arizona, you can be charged with a DUI if you appear intoxicated to the slightest degree. Higher alcohol readings will result in more serious charges. To be charged with an Extreme DUI, your BAC must be between 0.15% and 0.19%, and a Super Extreme DUI charge requires a BAC of 0.20% or above. Though both of these charges carry more serious penalties than misdemeanor DUIs, they are not considered felony crimes. Felony DUIs involves other circumstances surrounding the arrest and accusation. If you receive a DUI while driving with a child under age 15, you can be charged with aggravated DUI. First-time felony DUI convictions can result in minimum of 4 months in jail, fines of more than $150,000, and the suspension of your license for three years. There is no doubt that a felony DUI is a serious accusation. 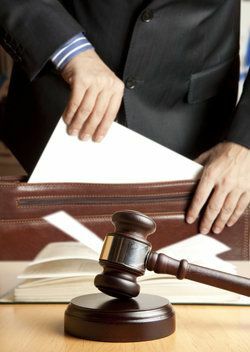 However, there are a number of arguments that attorney James E. Novak can use in your defense. Successful defense strategies include arguing that police stopped you without probable cause, and demonstrating that the blood test was tainted. There are many other effective arguments that can be used. Novak will undertake a thorough investigation of your case to learn the details and uncover all mitigating circumstances. Then he will aggressively defend you in court to obtain reduced charges, negotiate a reduced sentence, or have your charges dropped altogether. He has a long and established history of successfully defending his clients, and he is ready to fight for you. If you are facing a felony DUI charge, it is imperative that you seek out qualified legal help immediately. Contact The Law Offices of James E. Novak today.